Cinema Design Group International designs, manufactures, and installs custom luxury home theaters. 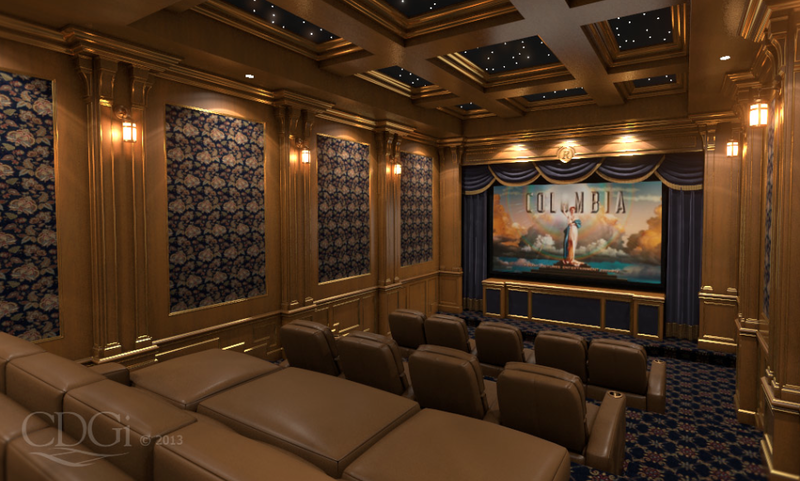 We take being in the custom luxury home theater business very seriously—you share your dream with us; we build it. CDGi markets it’s theater interiors through established audio visual retailers and custom home integrators. Our dealers are responsible for providing the electronic equipment that goes into custom luxury theaters while we provide the theater interiors. You, the customer, work with your local dealer to obtain a fully-equipped home theater. Our staff has been involved in designing and building home theaters for thousands of customers throughout their careers. The experience we have accumulated over the years is one of the key factors contributing to the success of the company.